Do you feel like you have too many employees not producing? Do you feel like most of your production is limited to a small number of your employees? What are the costs of the non-producers? Are you frustrated and feel like there is nothing you can do? This is a fixable problem. 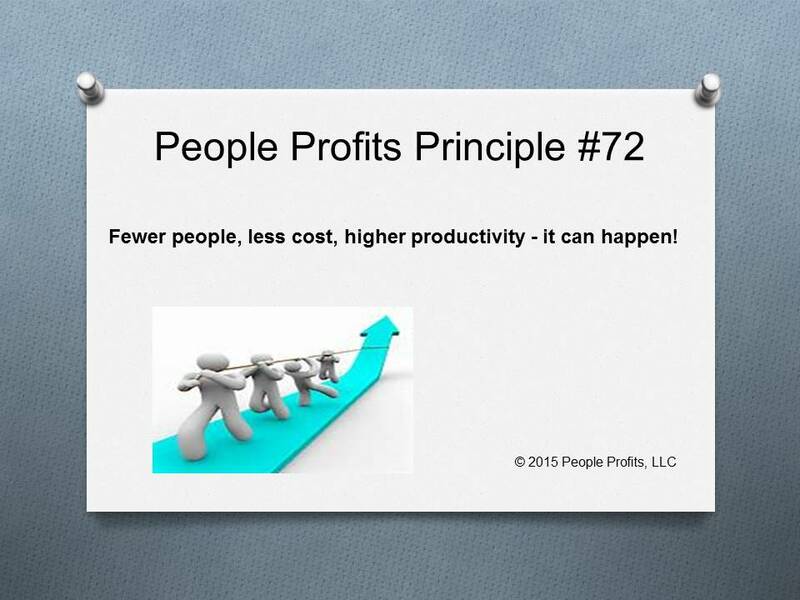 People Profits has refined certain proprietary systems that have consistently performed across industries. These systems reduce your headcount, increase productivity and reduce cost.